Learn about Strasbourg's fascinating history at this unusual museum. The Historical Museum is located in the city's old slaughterhouse, near the river and just steps from the lovely Cathédrale Notre-Dame de Strasbourg. 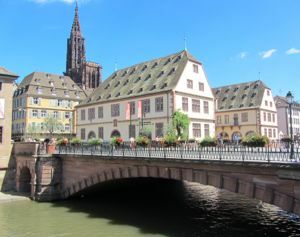 Recently renovated and updated, museum exhibits illustrate the history of Strasbourg from the Middle Ages until 1800. A second section of the museum, addressing the city's history from 1800 to 1949 (when the Council of Europe was created), is in development. The renovation has added a number of interactive exhibits that will be particularly attractive to kids. They can try on armor, touch different forms of pottery, and play a variety of educational games. The museum also provides a free audioguide, with a special version for kids. 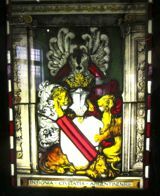 You'll see plenty of arms and armor, as well as paintings of Louis XIV on horseback in front of Strasbourg, and other famous kings, warriors, and statesmen. Perhaps most impressive, at the end of the visit be sure to go upstairs to see the relief map of Strasbourg, from 1727. Made of wood, silk, cardboard, and painted paper, it provides a 1:600 ratio view of Strasbourg and the surrounding area in the early 18th century. The map itself is a marvel, with amazing detail and fine work. In addition, a video/holographic show talks about how the map was created and points out some features. Above, Historical Museum in foreground, with cathedral spire in the background.